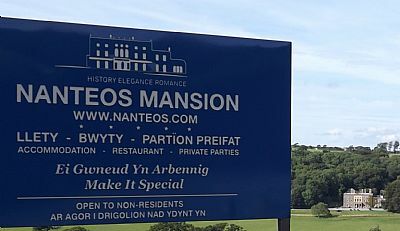 After a complete restoration, Nanteos is back in the forefront of grand houses in Wales. The doors are opened of the Grade One manor house as a grand five star hotel, giving top quality service and hospitality. 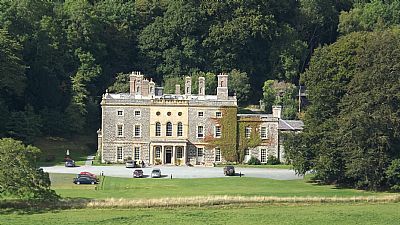 Following an extensive investment of over £4.5 million, it is an historic, luxury, Country House Hotel. Just over 60 years since the last Powell of Nanteos passing away, Nanteos has reached another chapter of its extensive history. New Owners purchased Nanteos in 2004, giving Nanteos a fresh lease of life. Nanteos is now owned privately by Saxoncourt; a family business, who have transformed the mansion into its former glory. The décor in each room reflects the house's Georgian origins and tells stories of Nanteos's past of bygone times and the romance of Nanteos's setting. They have been individually designed, blending original features, state-of-the-art facilities and opulent furnishings. Nanteos Mansion has a long, colourful history, full of fables, culture, mystery and romance. A century ago electricity and telephone were installed at Nanteos, now one hundred years later all the new technology has been installed all the Rooms and Suites with flatscreen TVs, iPod docks and DVD players; telephones, free broadband and Wi-Fi facilities. Click below to view the NANTEOS HOTEL web site.